The moment that you enter our private, walled compound your magical vacation begins. 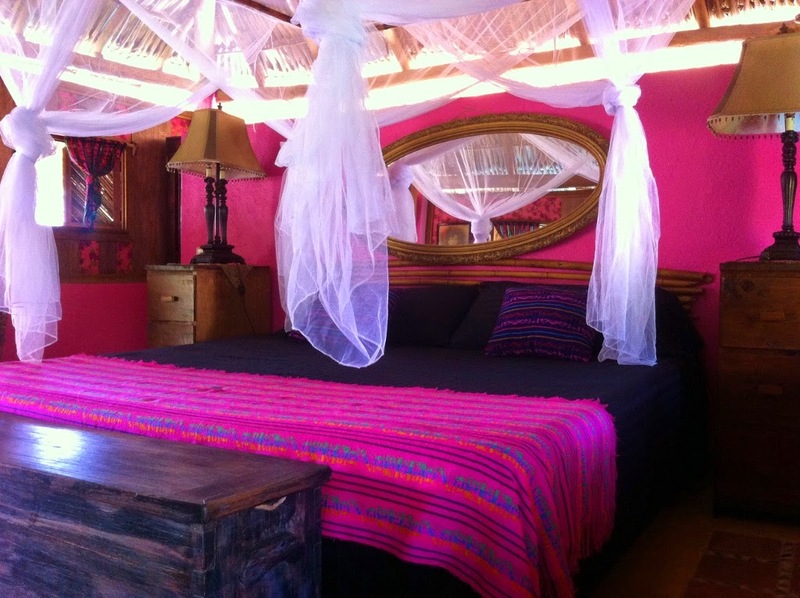 A mere 25 meters from the south end of the Playa Blanca, the most picturesque secluded beach of Guerrero , Hacienda la Rusa offers you the ultimate in traditional Mexican living. Steps from the beach, restaurants and the village, this bed and breakfast is your vacation home away from home! Soak up the sun, relax under the palapa, watch visiting birds from the lagoon, or simply allow the gentle winds to carry your cares away.